Latte, in Italian, simply means “milk”. However, in our world, the term is short for caffe latte – a common favourite of coffee lovers world-wide. In case you don’t know much about this awesome brew, keep reading. American author William Dean Howells first used the term “caffe latte” in Italian Journeys, an essay he penned back in 1867. Part of the caffe latte appeal is attributable to its simplicity. You can make one for yourself with a couple shots of tasty espresso and sweet, steamed milk over it. There are ample videos and “how-to” guides to help you make the perfect cup of this classic drink. One can easily spot a caffe latte by its crème colour, foamed milk the thickness of a finger’s width and it often comes with a cute piece of artwork created in the foam. With espresso being an important ingredient for your latte, it is only right that you know a little bit about it. We’ve already had a post on espressos but just to remind you, an espresso is coffee brewed using nearly boiling water and finely ground coffee. It is thicker than coffee brewed using other techniques and also its flavour is very concentrated. Did you know that espresso forms the base for many other classics such as Latte Macchiato, Caffe Macchiato, Caffe Mocha, Caffe Americano and Cappuccino? 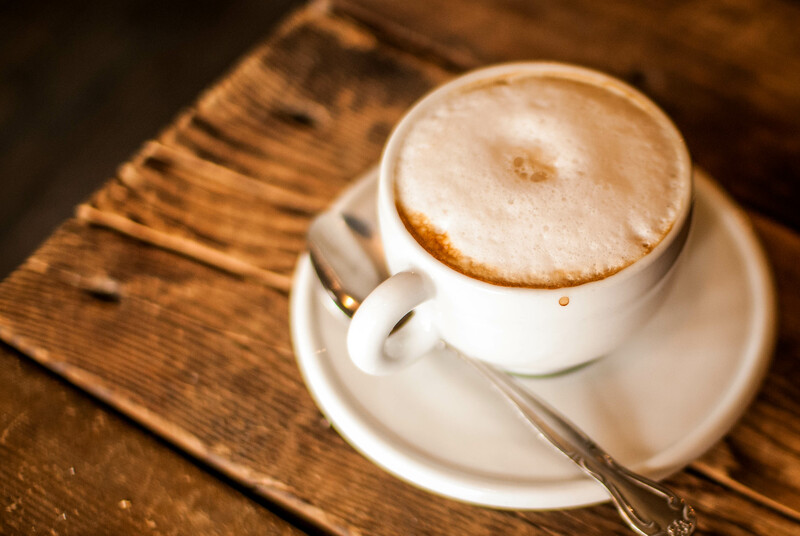 Caffe latte aside, latte forms the basis for a delightful range of coffee-based beverages. Let’s scratch the surface on a few of the most popular ones so that the next time you stop by a coffee house, you will know what to check out! Just like the name suggests, this delicious drink requires ice along with the espresso and steamed milk. However, there is a little secret to make the perfect iced latte. Remember to go from warm to cold. Here’s how. Top the espresso with cold milk straight from the fridge and fill the cup with ice. This helps marry their flavours instantly and the ice remains intact longer due to the cold liquid. I point this out as there is a common tendency to pour espresso into a cup of cold milk with ice already in it. This prevents the delicious coffee flavour from blending with the milk, giving a watery layer of diluted espresso on the top. This popular drink consists of frothed milk with a wee bit of espresso added to it. Macchiato, in Italian, means “stained”. The Latte Macchiato differs from the Caffe Latte in terms of preparation. Unlike with Caffe Latte, when making Latte Macchiato, you simply add espresso to the milk. Also, we often use only half a shot of espresso. The Latte Macchiato is oft light coloured with coffee in the bottom and a few spots of coffee at the top. ← How Long Is Coffee Good?